Revolution for the Hell of It, Abbie Hoffman wrote back in the late 1960’s but he was way too late in his call. Some thirty-five years earlier the Marx Brothers blew the lid off turning rebellion into a mischievous art form in Leo McCarey’s masterpiece of mayhem, Duck Soup. Marxist chaos rules in the land of Freedonia. It is difficult to imagine what a depression era audience, the film was made in 1933, made of the pandemonium being presented to them on screen. Like in all previous films, the Marx Brothers have no respect for anything. All positions of authority are targets for ridicule. 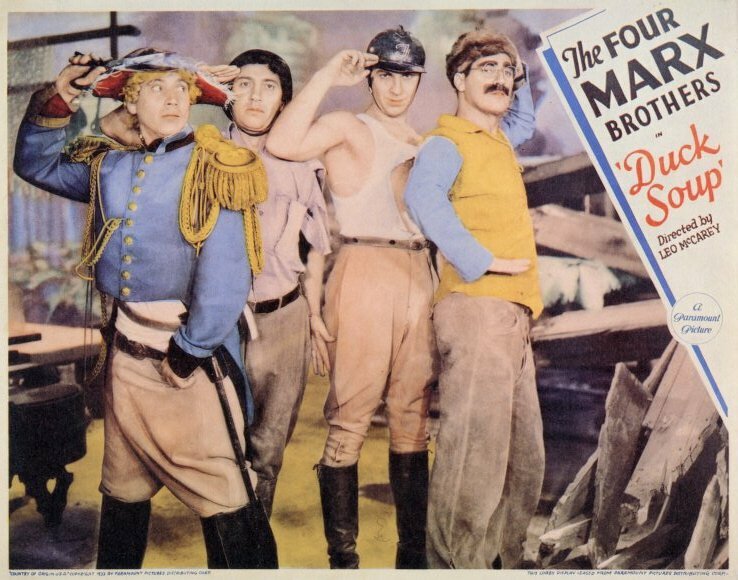 Anti-politics, anti-war, anti-authority; as Groucho once sang in an earlier film (Horse Feathers), Whatever It Is, I’m Against It.” To the Marx Brothers it was all fodder for their antics to exploit the self-righteous, the rich, and the pompous and most all themselves. Not so surprisingly, Duck Soup was a financial flop, and Paramount ended their relationship with the Brothers after five feature films. 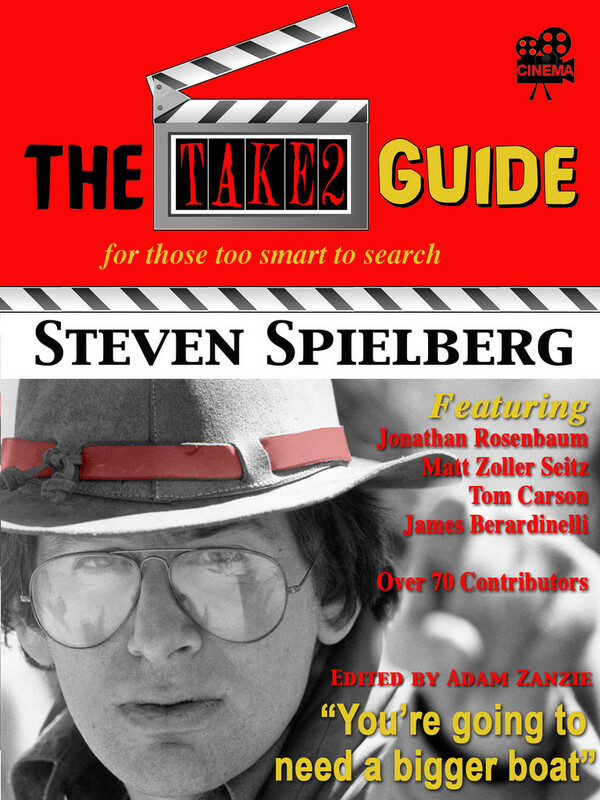 Irving Thalberg and MGM would pick them up. Under the cover of the big lion Thalberg would sanitize, soften and make the team more palpable by adding silly romantic subplots with the likes Kitty Carlisle and Jack Jones that just stopped the bedlam dead in its tracks. For the first two films under the boy genius, with the help of George Kaufman and Morris Ryskind doing the scripts, the MGM works are still outstanding, if you excuse those dead spots filled with romance and mundane musical numbers the MGM staff insisted on putting in. 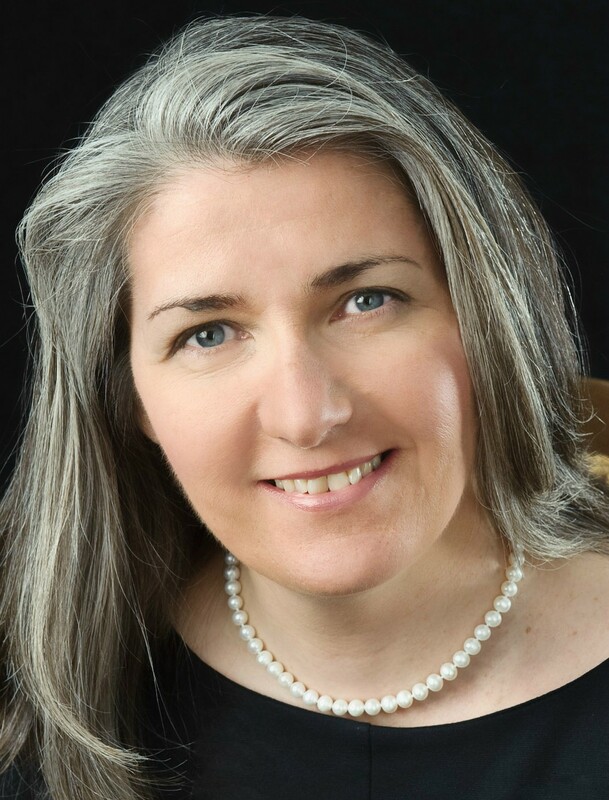 A Night at the Opera and Day at the Races are rightly lumped up there with their best works, that is as long as you fast forward passed the deadly musical interludes. 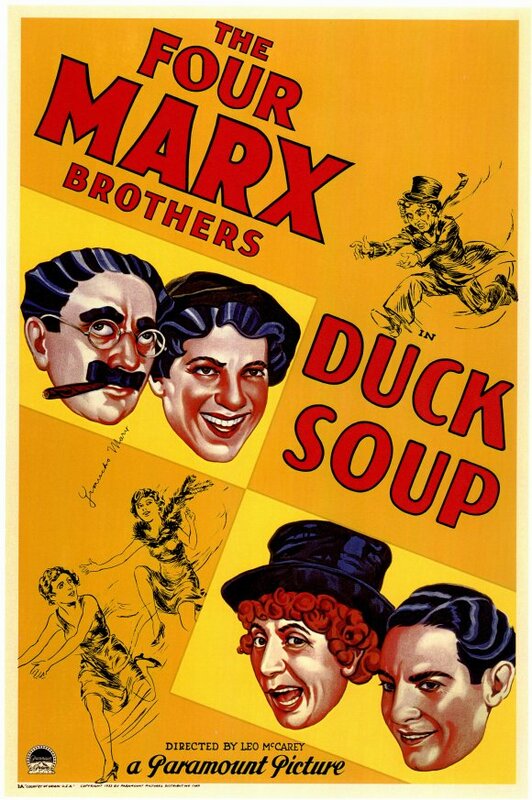 Duck Soup is the Marx Brothers masterpiece. It’s the one time they worked with a gifted director. It is the most original, chaotic, and I mean that in the most complementary way, film of all their works. In previous films they attacked the pompous upper class (Animal Crackers), Prohibition and Universities (Horse Feathers) and here they go after bureaucrats and the futility of war along and just about everyone who crosses their path. The plot will be described briefly, since this is a Marx Brothers movie and plot is incidental. More than plot one must look at the film as a group of related skits loosely tied together by Marxist insanity. Anyway, here it goes. The country of Freedonia is broke and in need of an influx of money. 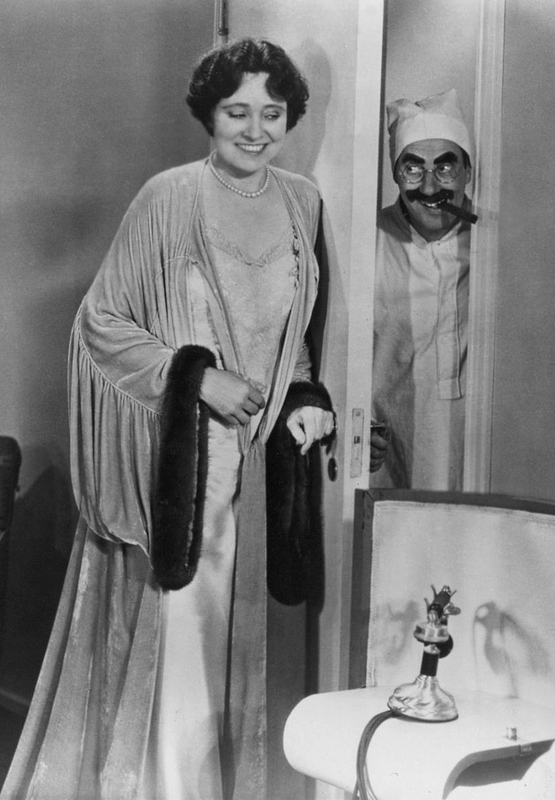 The only person willing to provide the large amount is Mrs. Teasdale (the wonderful Margaret Dumont) but only if Rufus T. Firefly (Groucho) is made President of the country. Meanwhile the Ambassador, Trentino (Louis Calhern), of neighboring country of Sylvania has designs on taking over Freedonia. He enlists two spies, Chincolini (Chico) and Pinky (Harpo) to infiltrate Firefly’s inner circle and create more havoc than normal. From this loose foundation we get one outstanding piece of comical business after another, physical slapstick, double entendres and plenty of Groucho’s puns upon puns. As a leader, Firefly leaves a lot to be desired. He insults both enemies like Trentino, (” Maybe you can suggest something. As a matter of fact, you do suggest something. To me, you suggest a baboon. Uh, I’m sorry, that isn’t fair to the rest of the baboons”), and friends like Mrs. Teasdale (“Remember, you’re fighting for this woman’s honor, which is more than she probably ever did.”). Duck Soup takes place in a mythical European country yet the characters names are all similar to what we have heard before. Groucho’s Rufus T. Firefly is typical Groucho. While Chico’s name though European (Italian) is just a variation of names he previously used (Ravelli in “Animal Crackers”, Baravelli in “Horse Feathers”) and would use later (Fiorello in “A Night at the Opera”). Louis Calhern’s Sylvanian Ambassador also has an Italian sounding name (Trentino). Then there is Margaret Dumont’s Mrs. Gloria Teasdale who despite the fact she is Freedonia’s richest citizen has an upper crust non-ethnic name. Like everything else in this film it seems to make no glorious sense, but oddly in the world of the Marx Brothers it does. For much of the film, Chico and Harpo get the best of Groucho. Harpo is Groucho’s chauffeur, but manages to leave him behind every time he wants to go somewhere. Then there is the film’s most famous skit. It has become known as the mirror scene, where Harpo and Chico sneak into Mrs. Teasdale’s home to steal war plans locked in a safe. During the botched attempt Harpo breaks a full length mirror. Groucho comes down in a nightshirt and cap to investigate. The two “spies” already dressed exactly like Groucho, previously tricked the clueless Mrs. Teasdale into giving them the combination. Harpo pretends to be Groucho’s mirror image as he stands opposite him where the now broken mirror once stood. Harpo matches every move Groucho makes in his attempts to catch him in a mistake. This scene has been imitated many times over the years from Bugs Bunny to The Three Stooges to Harpo reprising the scene with Lucille Ball. Much of Firefly’s dialogue is a contradiction of what he just previously said. He tells Chincolini he can’t have the job he was going to offer him. “What job was that?” he asks. “Secretary of War,” Firefly answers. “Good, “I’ll take it,” says Chincolini. “Sold!” Firefly replies. Then there are the insults when Mrs. Teasdale announces the Ambassador has arrived with a change of heart. “A lot of good that will do him, he still has the same face.” Firefly responds. A diplomat he is not. War is declared by Trentino after is being slapped in the face by Firefly. The entire ‘battle’ sequence is frenzied. 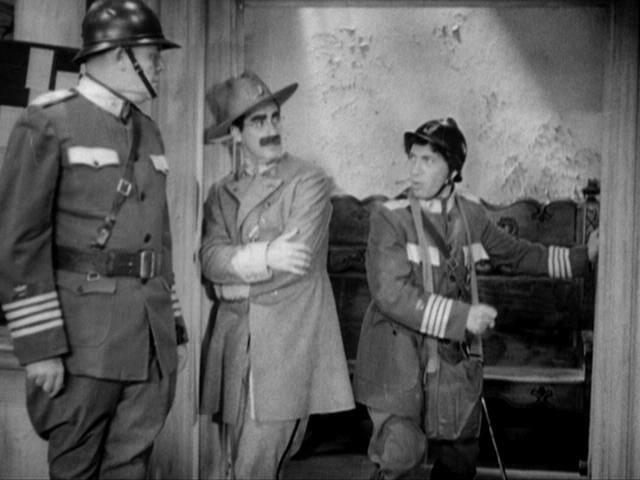 Groucho’s military uniforms change from one scene to the next, from one period to another. Newsreel footage of police cars, fire engines are inserted, the meaningless of war, the senseless, pettiness of diplomatic ‘honor’ as an excuse to wage battle. False national pride is ridiculed when Mrs. Teasdale attempts to sing the Freedonian national anthem only to be is bombarded by apples thrown by the Brothers. Chico and Harpo change sides after realizing “the food is better in Freedonia.” Apparently, one real dictator, Benito Mussolini, took Duck Soup a bit too personally as a direct insult and banned the film in Italy. The screenplay was written by Harry Ruby and Bert Kalmar with additional dialogue by Nat Perrin and Arthur Sheekman. Ruby and Kalmar previously worked with the Marx Brothers on Horse Feathers as screenwriters, but the team were mainly songwriters responsible for many of Groucho’s most famous songs including, Whatever It Is I’m Against It (Horse Feathers), Hello, I Must Be Going, and Hooray For Captain Spalding, both from Animal Crackers, the latter of which would become Groucho’s theme song for his hit radio and TV quiz show, You Bet Your Life. As I mentioned earlier, Duck Soup was not a success at the box office and led to the end of the Brothers tenure at Paramount. The film opened at the Rivoli Theater on Broadway in New York where it played to small audiences for its three week duration. It would also be Zeppo’s last film. From here on in there would only be three Marx Brothers on screen. I really did not mention Zeppo because he was a non-entity in this film as he was in all their films. He was there but he lacked any screen presence, generally looking uncomfortable like some guy wearing a stiff collared shirt one size too small. 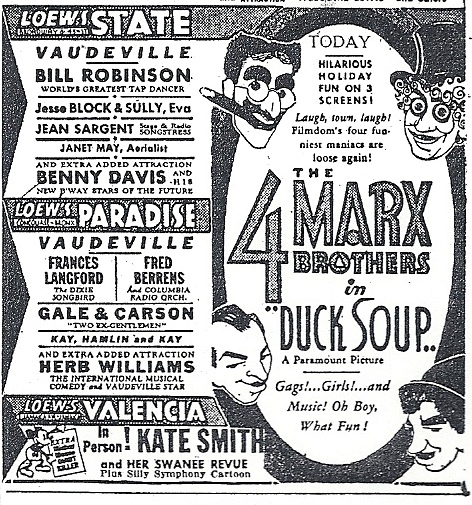 Duck Soup is the Marx Brothers best film. It doesn’t have any romantic ingénue love stories, no bland musical numbers, not even Harpo and Chico’s musical interludes. It’s pure, uncut Marxmania. Leo McCarey has said over the years he did not like making this film. He found the Brothers unmanageable. The end result is the film is more Marx Brothers than Leo McCarey and maybe that is where his problem stems from, but for most of us this film is a pure joy. This entry was posted in 1930's, Leo McCarey, Marx Brothers, Twenty Four Frames Favorite Films and tagged Duck Soup, Leo McCarey, Louis Calhern, Margaret Dumont, Marx Brothers. I do think Zeppo did have a couple of good moments (maybe just a couple). I think of the dictation of the letter in Animal Crackers(Hungadunga, Hungadunga, Hungadunga, and McCormick). A NIGHT AT THE OPERA is excellent(again,except for the musical numbers that make it a good time to get up and get a snack) I love all of their Paramount films and the first two MGM works (Opera and Races). After that the films become erratic. As for Zeppo, that moment you mention may have have been his high point. So Leo McCarey didn’t like making the film because he found the Marx brothers unmanageable? That’s really wonderfully funny. I learned a great deal about the brothers from this review, John, and I want very much now to see the film. Your love of these maniacs comes through loud and clear, well, maybe just clear and loud, if you know what I mean, because I certainly don’t. But seriously, I wasn’t being serious. Oh, just forget everything I just said, because I have. Now, what was I talking about? Oh, yes, those maniacs. Just because they don’t make any sense they’re maniacs? All right, I’ll go along with that and mostly because I’ve never seen the picture and certainly want to now after your review. Your review? I never knew you did Broadway. Well, I’ll sign off. I’ve had a wonderful time but unfortunately this wasn’t it. LOL! You have Groucho’s lingo down pat. If you have not seen this film you really must.The Marx Brothers worked with some of the best writers of their time. Thanks! John, I can do without the harp but I did miss the piano if only because I enjoyed how Groucho would heckle Chico in the Paramount films. There’s a belligerence in their exchanges that gets toned down as Chico becomes a more benign if not servile personality in the MGM films. As for the war sequence, was there anything like it in cinema before, the way their uniforms change from shot to shot in a way I identify with comic strips and comic books? DUCK SOUP is rooted in the “nut” humor of its period, but in other ways it seems way ahead of its time. The MGM and later films were definitely toned down. In the Paramount films everyone was a target of their barbs including each other. The war sequence, to me, is surreal, stream of consciousness. Definitely ahead of its time. Wow! A fantastic post that, as they say, left no stone unturned. 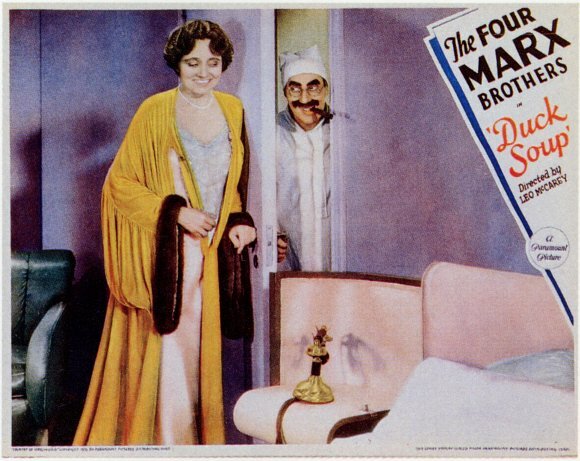 You expressed a lot of opinions about the Marx Bros movies, and I happen to agree with everything you said about this movie and about the Marx Bros in general. 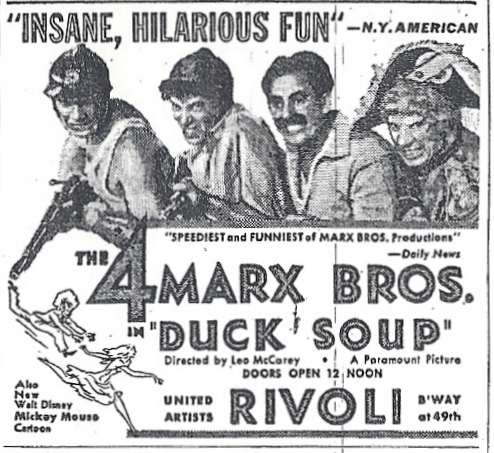 “Duck Soup” seems like a parody of politics, government, and history, but it is actually, as you said, an ode to anarchy. The boys were never this free before and certainly not after. I watched “The Pink Panther” for the first time the other night, and Blake Edwards did a homage to the mirror scene using not a mirror, but a pillar. And, of course, Lucy and Harpo reproduced it (beautifully) in the Lucy in Hollywood episode he guest-starred in on “I Love Lucy.” This is one of the funniest movies ever made, and like you, I give it my highest rating. Thank R.D. and I am glad to hear you are in agreement. Like you I rate this as one of the funniest movies ever made with brilliant word play and crazed slapstick. Of course they had some wonderfully caustic writers working with them. I did neglect to mention the fantastic Edgar Kennedy, of the slow burn, who has a couple of terrific scenes with Harpo. It’s a true labor of love on the reviewing front, but beyond that I know the Marxes are a cultural institution with you John, as well they should be. DUCK SOUP is their greatets film, though two others (A NIGHT AT THE OPERA and HORSE FEATHERS) push very close. This is predominantly an inspired film and a number of sequences of course are unforgettable. I can never forget a unanimous Parliament, dancing and singing to opera tunes and blues, including “All God’s chillun got guns” or Harpo taking a blow torch from his pocket or using his scissors to cut cigars, sausages, hair, ties, coat tails and the lot. With the predominance of gags, verbal wit and improvosation and not an iota of musical release, this is their most unadulterated film in every sense. Yes, Depression Era audiences needed to have belief in their leaders, so you can assume this was rather a political anachronism, though in the anarchic 60’s this kind of thing took flight, taking this film to a vaunted level, where it rightly stands today. Thisa is a truly remarkable review John. One of your best. Thanks Sam, I am a Marxist going back to the late 1960’s when their films use to routinely play at some of the many reportory film houses that existed in NYC back then. Even saw ANIMAL CRACKERS at the first run SUTTON Theater where it played for two months back in 1974 when finally rereleased after many years of being in the vault. Great stuff, thanks again my friend. We were recently saying we need to look at their films again – as stated by others, except for the long musical sequences, very funny and barbs at others expense always fun to watch! Cheers! Thanks Michael, the Marx Brothers were amazingly funny and remain so. There’s a whole lot of Marx Brothers on TV in the UK in the early hours of the morning this coming week, so I will hope to record and watch one or two. Must admit I’ve never really got into them (I’ve seen their movies in the past but didn’t really get them), but have been meaning to put that right since recently seeing Woody Allen’s ‘Whatever Works’, where the grumpy main character is said to be based on Groucho – and the film opens with the song “Hello, I must be going”! Like all comedy, The Marx Brothers are an acquired taste. I know Woody Allen has always been a fan of the Marx Brothers as well as Bob Hope. I always liked the Bob Hope films of the 1940’s and some 50’s work, yet plenty of people do not find Hope funny as all. His later films are just terrible. THanks Judy.